The streets of Xi’an are bright and compelling both day and night. In the vibrant cities of Xi’an and Kunming, students and teachers guide you through a mash-up of ancient and modern-day culture. Landmarks such as the Terracotta Army and Golden Temple Park are accessible during your free time. Regional cuisine, distinctive music, engaging theater and expressive architecture reveal the depths and richness of the Chinese heritage. Crete is an island of seaside cities and harbors. Teaching and labor projects on this historic Greek island take you into the capital city of Heraklion. Home of the ancient Minoan society, the treasures evinced in mountains, gorges and craggy shores are displayed in the city’s museums, archaeological sites and galleries. Cuba’s iconic street scenes stimulate the imagination. When volunteering in pulsating Havana or historic Ciego de Avila, you experience the glow and intrigue of the Cuban culture, music, dance, and art captured fully in the island’s urban centers. Our community partners proudly share renowned and obscure treasures throughout the program. Quito – South America’s highest capital city. The capital city of Quito is esteemed for Old Town museums, churches, stores, cafes, parks and plazas. While caring for preschool children in the quieter suburb of Calderón, you’re drawn into the town’s distinctive markets and handicraft shops. Each day is a new day of discovery. Colors and sounds swirl on the streets of Chennai. The distinctive colors, sounds, flavors and fragrances of Chennai surround you on the streets and in the airy classrooms where you teach and care for children. Become absorbed in the city’s music, dance, festivals, fervor and temple art inspired by descendants of the ancient Dravidian peoples. The serene Adriatic shoreline of Monopoli. Our partner community of Monopoli is less city, and more coastal town reminiscent of older, quainter times. Eager students draw you out of their English classrooms at the end of the day to showcase modern museums, spas, music venues and upscale restaurants. Santiago de Querétaro is the capital and largest city of the state of Querétaro. The alluring street scene in Querétaro, one of the country’s finest cultural and historical centers, prepares you for engaging days with English students at Universidad Tecnológica de Querétaro (UTEQ) and dynamic nights of music and great food. The city repeatedly is recognized for the highest urban quality of life and best greatest safety in all of Mexico. Lima’s colorful coastline captivates volunteers. The capital city of Lima is a magnet for historians, archaeologists, urban adventure-seekers, and foodies alike. One of the most cosmopolitan cities in South America, it has a preserved colonial center and modern, bustling neighborhoods. 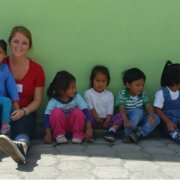 Projects teaching university students and orphaned children from the pueblos jóvenes immerses you in meaningful service. Beja seamlessly weaves urban excitement with old world charm. Like Monopoli, Italy, Beja is a picturesque, pastel urban center of a primarily rural region. Stories of the Moorish castle dominating the city animates your elementary, secondary and adult English students on your stroll through the cobblestone streets. Climbing the hill after class to the castle gate, your student guides practice your day’s lessons. A serene gathering spot in central Barlad. Near the border of Moldovia, Bârlad boasts modest gifts of imposing Russian-inspired architecture and rural traditions. But the unforgettable attractions of Barlad are the children you nurture and guide at the Children’s Hospital and the area high school – embodiments of peace. The streets of Hanoi are a hive of activity and energy. Legendary Old Town Hanoi is electric – day and night. Inside the dazzling shops, restaurant-lined streets, temples, pagodas and theaters, you discover the creative, resilient spirit of the Vietnamese people. Beaming students – youth and adults – introduce you to the pulse of the culture. You’re in the midst of the urban rhythm at work, play and learning. Review urban volunteer opportunities abroad here or chat online with a Volunteer Coordinator for ideas and details.